Jongerius worked for almost half a decade to optimise what she describes as her "young classic", which only took the designer half a year to design in the first instance in 2005. "Not that it was so perfect that it was difficult to top, but I wanted to do it on all levels," Jongerius told Dezeen.The Berlin-based designer launched a manifesto earlier this week, in which she promotes revisiting and improving old products rather than constantly churning out new pieces. 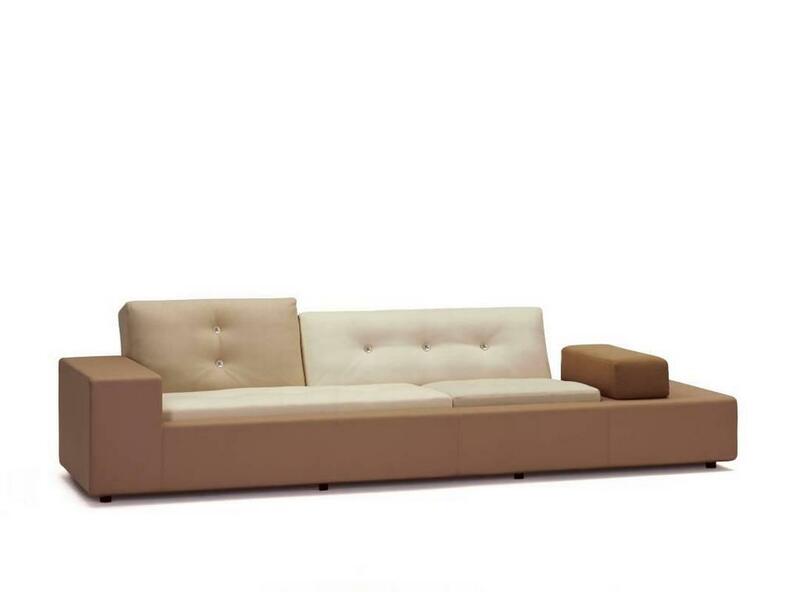 Her Polder modular sofa system comprises a series of rectangular cushions in different sizes, arranged so the gaps between are offset. It's name and shape reference the "polder" landscape of the Netherlands, where land is reclaimed from the sea using long horizontal dykes and intersecting drainage canals. Overhauling the design while sticking close to its original aesthetics, Jongerius altered the seating position and exchanged the materials both inside and out.The aim was to make the seat more comfortable to use and more economical to produce. 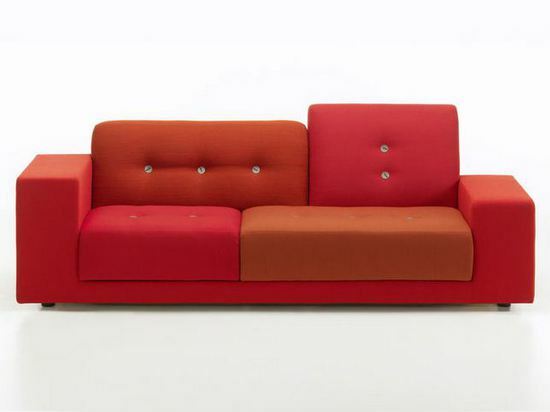 "Vitra thought it's a sofa that can have a next generation," she said. "I'm very happy and grateful to work on my own classic." 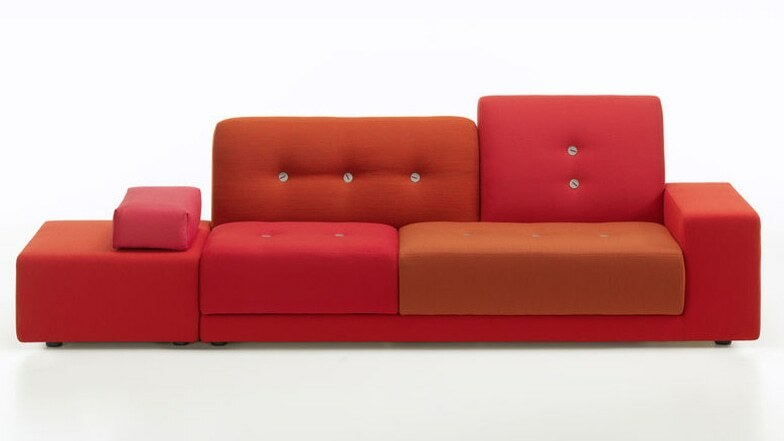 To upholster the sofas, Jongerius has developed her own range of textiles, as well as bespoke buttons to replace the "old, crafty-looking" ones. 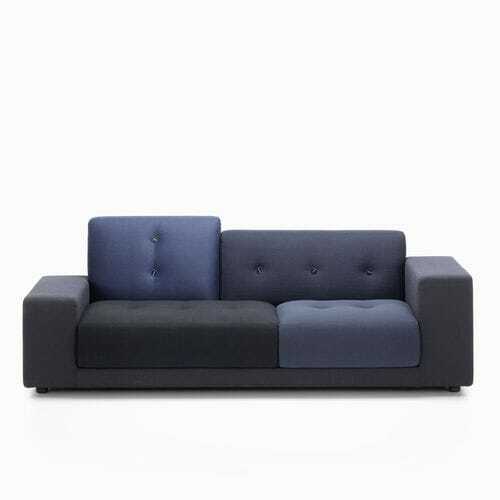 The fabric comes in subtle variations of bright shades to further differentiate each cushion. 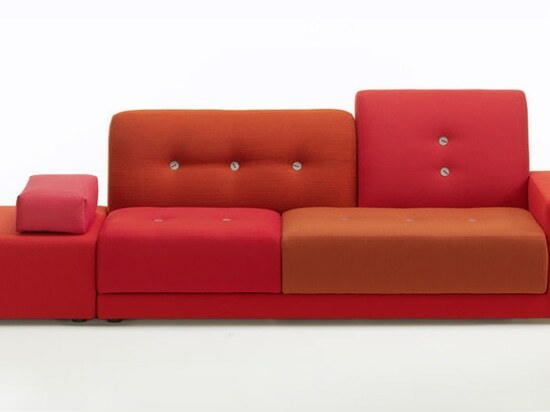 "There's a really nice palette of colours on each sofa," said the designer. 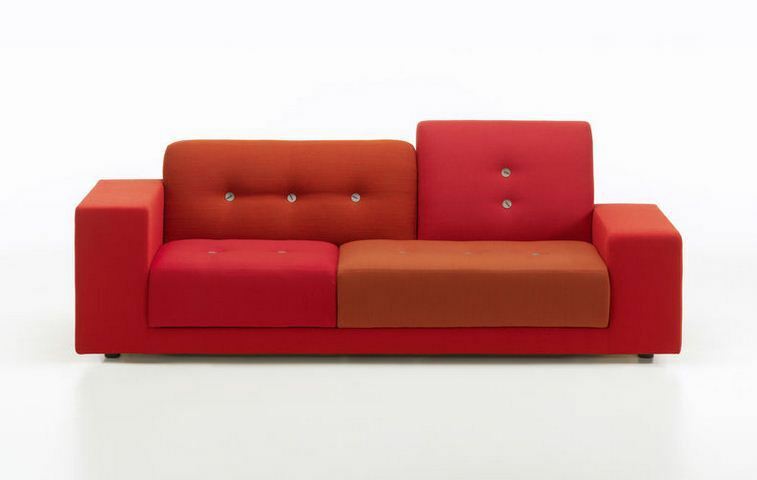 Vitra is exhibiting the sofa at the Salone del Mobile furniture fair, which continues until Sunday.